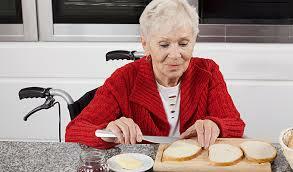 AARP reports that approximately 90 percent of seniors desire to live at home as they age. To that end, home care is often needed – especially when illness or disability make daily activities challenging. However this does not mean – or should not mean – the end of a senior’s independence. As a caregiver, it is important to encourage independence in seniors and provide plenty of opportunities for them to do things on their own. ClearCare Online understands how vital it is for seniors to maintain their independence, and have developed a homecare system and homecare software to help them live comfortably at home and do just that. Elderly ones may need our help but they do not need us to do everything for them. By working together and using an “interactive caregiving” approach, seniors will have more satisfying experiences which can contribute to their independence. Encourage seniors to help with activities such as folding laundry or planting flowers as their physical capabilities allow. Encouraging physical activity will also help seniors maintain their independence. Whether it’s walking to the mailbox every day or taking the dog for a walk in the neighborhood, ongoing physical activity promotes positive routines that keep seniors healthy. Caregivers using a homecare system or homecare software can share daily updates with family members so they can also be a part of the senior’s daily care. Families can check their web-based homecare software to verify that the caregiver is at the home on time, and that all daily tasks have been completed as scheduled. A reliable homecare system like ClearCare Online has been the solution for countless families who can’t physically be with their loved ones every day, but who want to help them live independent lives in their homes. For more details on how ClearCare Online’s homecare system and homecare software might help the seniors in your life maintain their independence, contact one of our friendly representatives today.